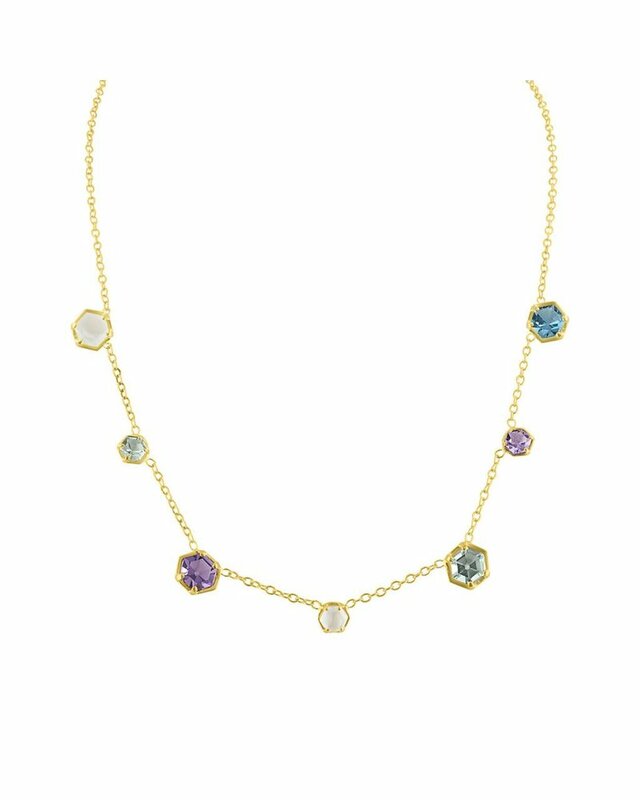 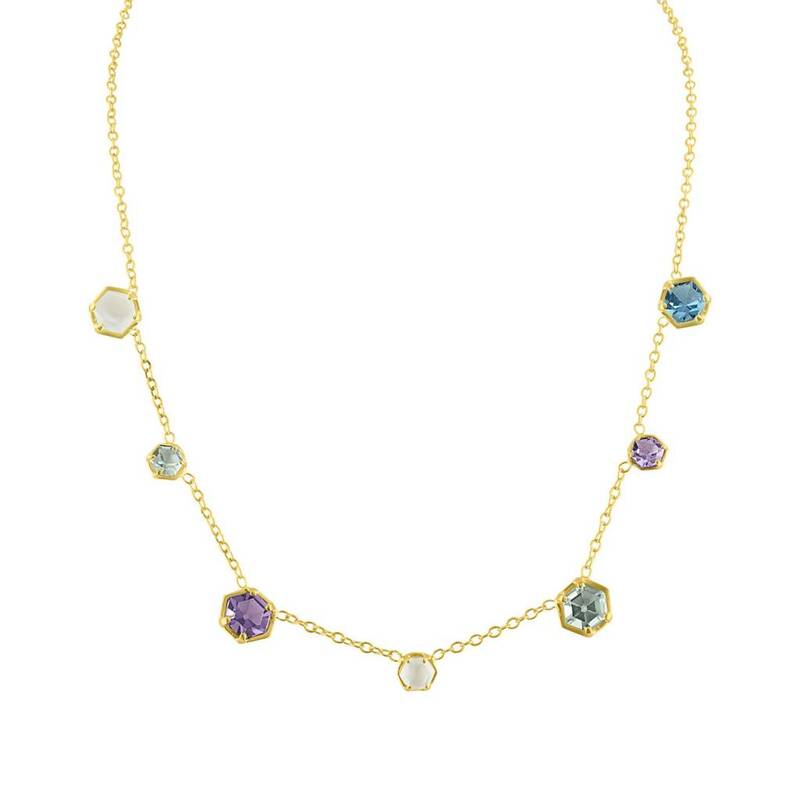 14K Yellow Gold, Seven Bezel Set Gemstones: London Blue Topaz, Green Amethyst, Moonstone, Lavender Amethyst 18" Chain. 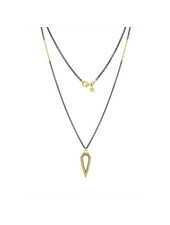 14K Yellow Gold Bezels, 18'' Oxidized Sterling Silver Chain. 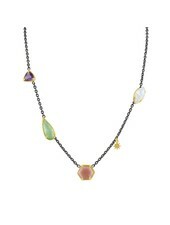 Gemstones Include: Rose Quartz, Amethyst, Moonstone, & Chalcedony.